Frank was born in 1896, the third son, fourth child of Charles Pibworth and his wife Emma née Hill. He was one of five brothers with just the one sister – the full family consisting of Emily Kate (born 1888), William Charles (1890), Arthur (1893), Frank (1896), Alfred (1899) and Albert (1901). Charles worked as a carter – driving a horse and cart, at one point this was farming work, but in later years he became a milkman, it is not clear if this was still farm based (a number of farms sold milk direct to the public) or if he was working for a local dairy. The family moved around living in several Newbury addresses in Bedford Place (off Bartholomew Street close to the Dolphin Inn), Pound Street, Andover Road and Kingsbridge Road. After leaving school Frank worked as a grocer’s errand boy – a common occupation for young lads leaving school at 14. Immediately before he went to war Frank was working for Giles Bros, bakers and confectioners at 3 Cheap Street (now the Pageant fancy dress shop). It is not known whether this was a long term job or whether the departure to war of many young men from Newbury had opened up an opportunity. 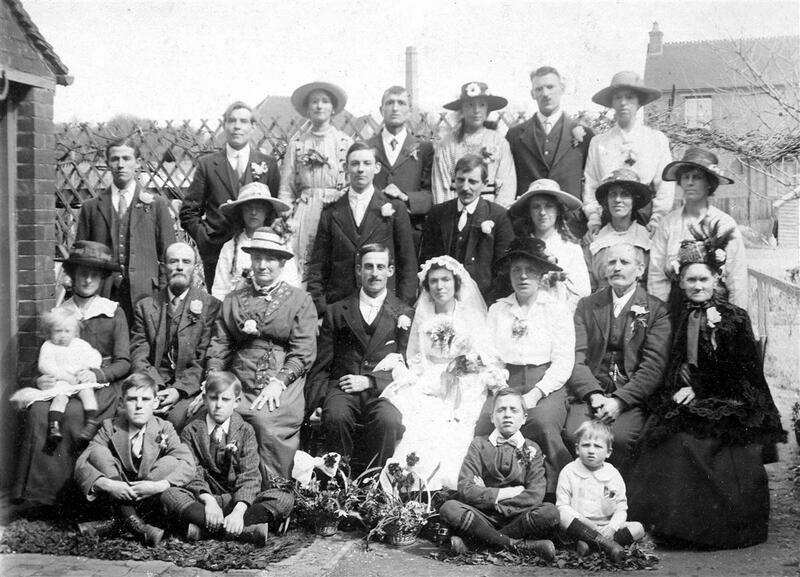 The Pibworth family at Arthur's wedding to Emma Bosley in 1919. The Pibworths are believed to be Arthur sitting with his bride with his mother, father and sister to his right. Albert immediately behind with William's hand on his shoulder. Alfred is also standing (back row left). Behind Emily is her husband, Herbert Powell. By the end of 1915 everyone knew that conscription would soon be introduced; in an attempt to delay the introduction of this unpopular measure the Minister for War, Lord Derby, introduced a new scheme through which men could volunteer for future service as and when they were needed. The Group or Derby Scheme, as it was known, resulted in a surge of recruitment in late 1915, many coming forward in the knowledge that not doing so would only delay things a few months, and that coming forward voluntarily meant that they could choose which unit to join. Frank opted to join the local regiment, realising that he would probably encounter old friends and acquaintances when he reached the front. Recruits ‘attested’ in late 1915, which involved filling in a form and a short medical – after which they went home to await the call. Being single and born in 1896 Frank would have been assigned to Group 2 (had he been married it would have been Group 25). His was the first Group to be called up along with Groups 3 to 5 (single 19-22 year olds were prime candidates), they were notified on 20 December 1915 that they would be ‘mobilised’ on 20 January 1916 – the day Army life began for Frank. Following a period of training in the UK he was sent to France in August, almost certainly among a draft of men sent out to replace some of the casualties experienced in the early days of the Battle of the Somme. Frank was sent to the 6th Battalion, Royal Berkshire Regiment, which had ‘gone over the top’ on the infamous first day of the Battle of the Somme (1 July) and suffered 348 casualties. However, unlike most battalions on that inauspicious day the 6th Berks were a part of a very successful assault on the German lines. At the southern end of the British line the attack towards Montauban resulted in an advance of 2,500 yards – the only real British success of the day. 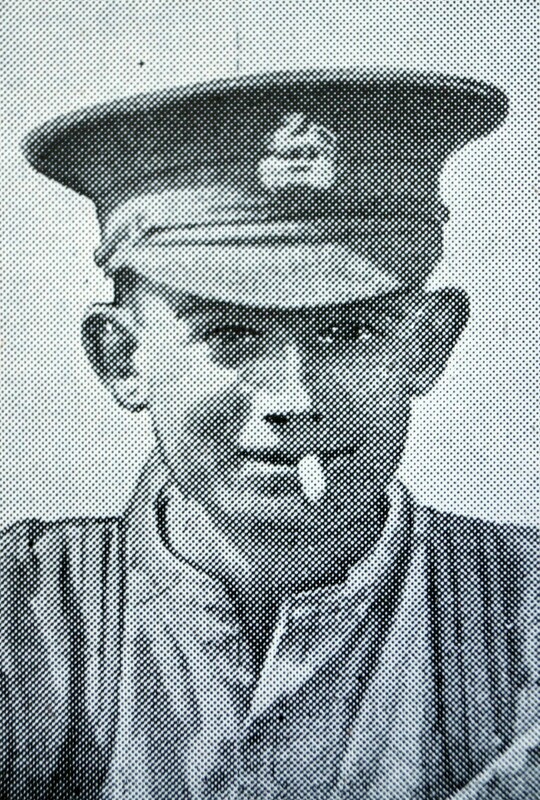 During the ensuing months Frank was wounded severely enough to earn him a period of convalescence in the UK, but not so severely as to end his time in khaki. He recovered and returned to his battalion at the Front. A year after the Somme the battalion was in Belgium embroiled in another famous battle – Passchendaele (more correctly the 3rd Battle of Ypres). On 31 July they were part of an attack on German positions west of Glencorse Wood (today the area of the action is immediately to the east of the Bellewaerde theme park and the Hooge Crater museum). Belgium, Zillebeke All references to Sheet ZILLEBEKE 1/20,000. A copy of all operation orders & messages received & sent is attached. 1.55AM - Head of Bn arrived in assembly area in I.17.d and I.23.a & c.
3.5 - Bn reported present in assembly area. Message sent to Bde HQ to this effect. 5AM Bde report Blue line captured. 6.50AM. Black line reported captured unofficially. 7.15 - Bn moved from assembly area in Artillery formation towards forming up line. 8.30 - Bn passing through SANCTUARY WOOD in J.13.c. Fairly heavy MG fire & artillery barrage directed against Bn. No Manchester met up to this point and captured trenches did not appear to be garrisoned. 8.45 - JACKDAW RES TR reached. Owing to MG fire from YPRES-MENIN Rd and SURBITON VILLAS Bn deployed to extended order. Advance resumed and the line of the YPRES-MENIN road made good. 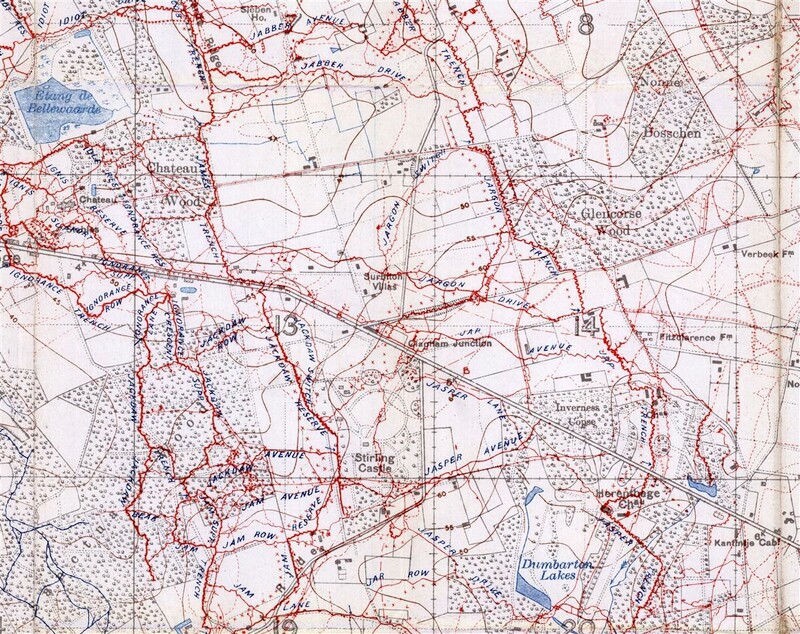 9AM - Attack on the black line determined on and commenced by rushes under cover of rifle & MG[machine gun] fire. Suffolks and their attd TM[trench mortar] co-operated with fire on SP at J.14.a.3.2½ . 9.50 - In spite of strong opposition and without assistance from our own Artillery which was unaware of the situation the line Xrds J.7.d.9.1 JARGON SWITCH and SURBITON VILLAS captured. Touch gained with Lincolns at bank in J.7.d. 10.10 - British barrage opened behind the line of resistance holding up the Bn. Efforts to advance were stopped by rifle & MG fire from the JARGON TR LINE. 10.30 - Consolidation of the line J.7.d.9.4 - Xrds J.7.d.9.1 - JARGON SWITCH – J.13.b.9.6 - junction rds at J.13.b.9.5 - E of SURBITON VILLA where touch was gained with the Suffolks. The work of consolidation was difficult owing to hostile MG fire & aeroplanes dropping bombs on troops consolidating. 3pm - Enemy seen massing for counter attack in GLENCORSE WOOD. SOS barrage called for - Artillery open fire and attack did not materialize. Remainder of day fairly quiet but enemy kept up continuous shell fire on consolidated troops & Bn HQ on YPRES MENIN Rd in the tunnel at J.13.b.3.1. 8.30pm - Orders for relief by 17th KLR received. Details arranged direct with Bn - Relief orders attached. 12MN - Relief commenced. Completed 2.50AM Aug 1st. Bn withdrew to DICKEBUSCH. Narrative of operations & copies of messages attached. Those unfamiliar with war diary entries will find this full of confusing gobbledegook – but it is, in fact, full of useful information. In association with a contemporary trench map it all begins to make sense. The letter/number combinations are map references and the other capitalised words are geographic features (albeit mainly temporary features like trenches (eg the various Jargons) and a fortified position (Surbiton Villas). Sanctuary and Glencorse Woods are still there today. The area in which the 6th Bn, Royal Berkshire Regiment fought on 31 July 1917. The German trenches shown in red indicate the position a few days earlier, by the time the 6th Berks went into action many of the forward trenches (to the left) had been captured. The 8.30 entry exposes the big issue of the day. They had received information that the 17th Battalion, Manchester Regiment, had captured the trenches in front of them, which they were due to pass through before taking the attack further into the German lines. When they got to the trenches the Manchesters were supposed to have captured they found them empty – no Germans or Manchesters. It turned out that the Manchesters had strayed off course and taken the wrong trenches – and the wrong wood! So the Berkshires found themselves assaulting German positions that the British artillery thought were already in British hands – they went in without artillery support, a very dangerous tactic. Nevertheless they made some progress – though the cost was high, a total of 246 casualties (probably more than half of those taking part). Frank was among the wounded, dying from his wounds the following day. He died at, or on the way to, a Casualty Clearing Station (CCS) near Brandhoek (between Ypres and Poperinge). From his sorrowing Mother, Father, Sister and Brothers. On Sunday, August 13, the friends of Pte Frank Pibworth, whose father and mother live at Kingsbridge-road, Newbury, were informed by a letter from the Chaplain of one of the Royal Berks Battalions, that he was seriously wounded. He sent a message that he wished his love sent to his mother and to all the people at home. That was his last communication to his relatives, for on Friday they received a notification that he had died from his wound on the same day. He had been in the Royal Berks Regt about eighteen months, and went out to France in August, 1916. He was invalided back home for some time, but went back over to France again in the spring. He was aged 21 years, and had been employed by Mr Giles, baker, up to the time of his joining up. He has two brothers at present serving the King. Near to Frank's resting place is the grave of Noel Chavasse VC & bar - marked by the only CWGC stone to bear two Victoria Crosses. Frank was buried in grave II. C. 4 at Brandhoek New Military Cemetery which was created in July 1917 to cater for the casualties who died in three Casualty Clearing Stations (field hospitals) that arrived in Brandhoek in preparation for the launch of the new offensive (3rd Battle of Ypres). The cemetery is tucked away behind modern housing and is accessed down a grassy path - nevertheless it is much visited, for it contains the grave of Noel Chavasse, one of only three men to be awarded the Victoria Cross twice (VC & bar). His medals (he was also awarded the Military Cross) were purchased in 2009 for £1.5 million! 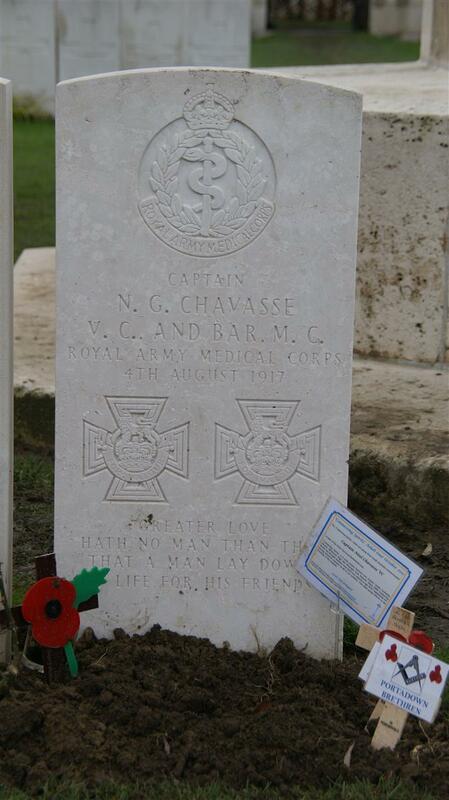 Chavasse's headstone is the only CWGC stone to have two VCs. Coincidently, Arthur-Martin Leake, a surgeon, who also won two VCs (in 1902 and 1914) was one of the medical staff who treated the fatally wounded Chavasse. Chavasse was also a medical man who won his medals for his gallantry in rescuing and tending tothe wounded on the battlefields of the Somme and Passchendale. 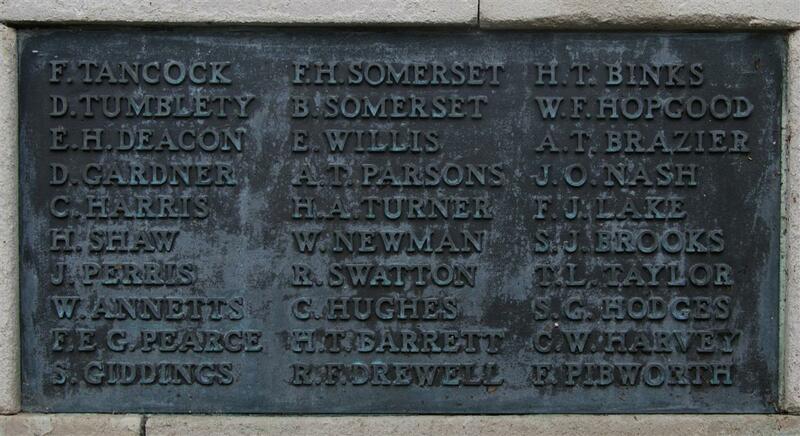 In loving memory of Pte Frank Pibworth, 6th Royal Berks, third son of Mr and Mrs C Pibworth, Kingsbridge-road, who died of wounds August 1st, 1917, aged 21. Is his brother’s safe return. From his loving Mother, Father, Brothers and Sister. Locally he is remembered on tablet 13 of the Newbury Town War Memorial as well as the memorial panel and roll of honour in St Nicolas’ Church, Newbury. Two of Frank’s brothers were reported (above) to be serving at the time of Frank's death, these were probably William and Alfred. Alfred served with the Royal Warwickshire Regiment (regimental number 35337) rising to the rank of Corporal. He may well have been the A Pibworth reported among a list of recent recruits in November 1915 (Newbury Weekly News, 18 November 1915). To date it has not been possible to trace William’s service. 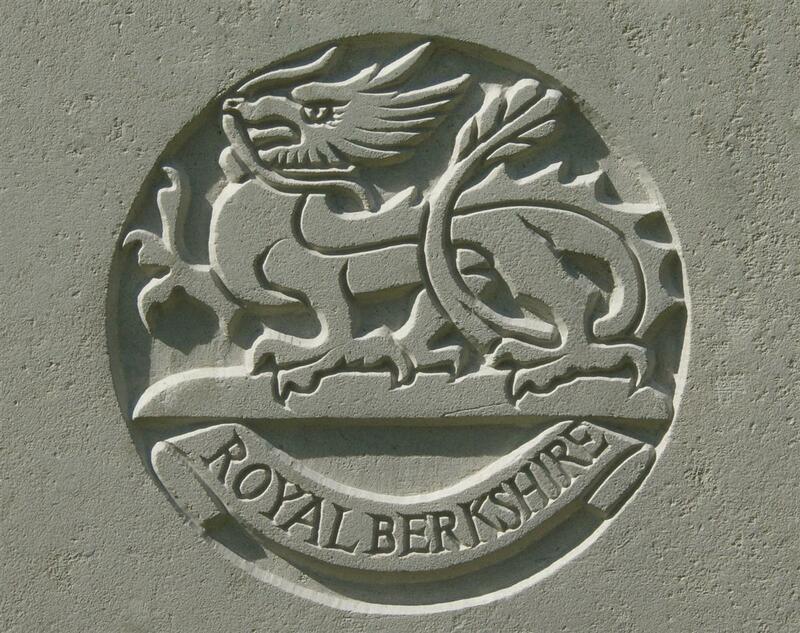 On 8 February 1915 a third brother, Arthur, volunteered at Newbury to serve with the Royal Berkshire Regiment. The following day he attested (the formal signing up) at Reading and was given the regimental number 16770. However, he did not serve for long: on 21 April 1915 he was discharged as ‘not likely to become an efficient soldier’. His problem was his right arm; an earlier break had not healed well, so he could not even bend his arm to a right angle. The fourth brother, Albert was too young to serve in the war, not being eligible for conscription until 1919.